PRIVATE 50-Minute Webinar hosted by our OSHA Expert, scheduled at your convenience. (Printable sign-in certificate included). 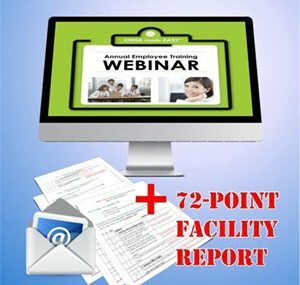 Then update your prior 72-Point OSHA Safety Facility Inspection & Report. Includes OSHA Phone Support for 1 year.